HE HAD TO WED -- OR LOSE EVERYTHING! With his father's death, Captain Adam Deverill, the new Lord Lynton faces devastating ruin. Unless he raises the necessary funds, his beloved family estate at Fontley Priory will be lost forever. 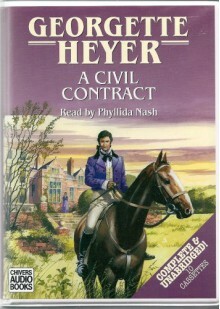 Providence arrives in the person of a wealthy stranger who offers Lynton a most unusual proposal: satisfaction of all his debts -- in exchange for Deverill's hand in marriage to his only daughter. When Jenny Chawleigh agrees to become the new Lady Lynton the shy heiress enters a glittering new world of titled society. But she must also resign herself to a loveless union with the irresistibly appealing viscount, a man who does not truly desire her -- or so she thinks.